Erysimum Linn., Sp. Pl. 660. 1753. Gen. Pl. ed. 5: 296. 1754; Benth. & Hook. f., l.c. 79; Hook. f., l.c. 152; Boiss., l.c. 186; Schulz in Engl. & Prantl, l.c. 576; Busch in Kom., l.c. 92; Cullen in Davis, l.c. 466; Rech. f., l.c. 285. About 100 species, chiefly Eurasian; only 15 species (incl. 1 cultivated) recorded from our area. A difficult genus due to highly variable nature of several of its species. 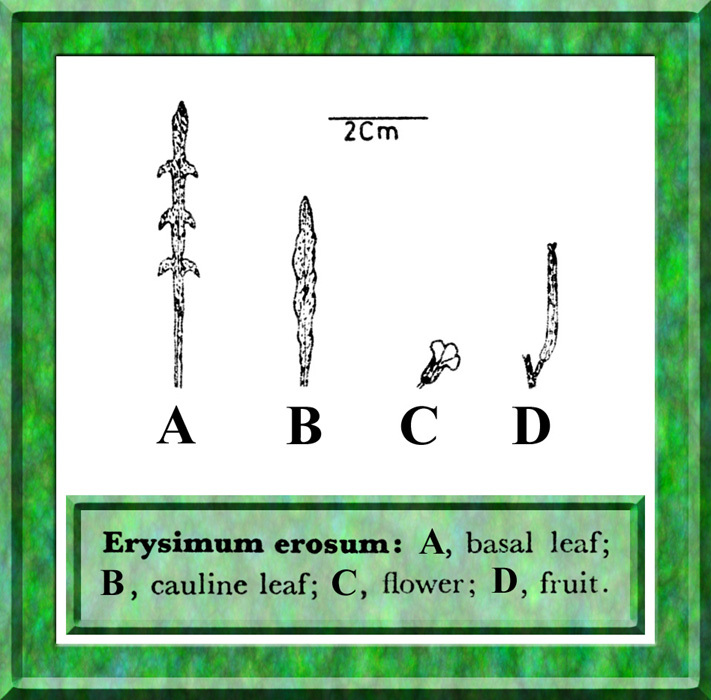 A year old plant may look like an annual and may sometimes confuse the identification of its perennial species. However it is a very natural genus and one of the largest in the family for our area.